The current bridge known as Ruins is about to collapse, and besides all this already has 60 years old, is why not prejudice access to the sanctuary (Machu Picchu) to more than three thousand tourists are implement a new bridge in the area. The mayor held a meeting with Minister of Foreign Trade and Tourism: Magali Silva, Raul Antonio Torres, National Director of Decentralized Provias and Congress President Luis Iberico, who approved the replacement of the existing infrastructure. For the construction of the new bridge an agreement between the Municipality of Machu Picchu and Provias Decentralized, the new infrastructure will be 50 meters long and have an investment of more than 5 million new soles was signed. 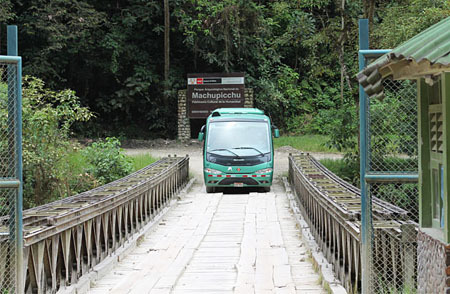 The District Municipality of Machu Picchu will be responsible for paying the transport infrastructure of the new bridge from Ollantaytambo to Aguas Calientes, according to the Daily Mail.